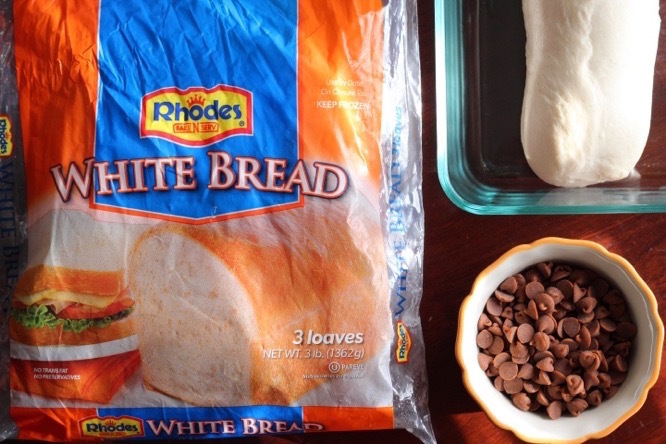 I have been eating Rhodes Dinner Rolls since I was a child, but this was the first time I had tried their frozen loaf of White Bread AND it's just as delicious as their rolls. 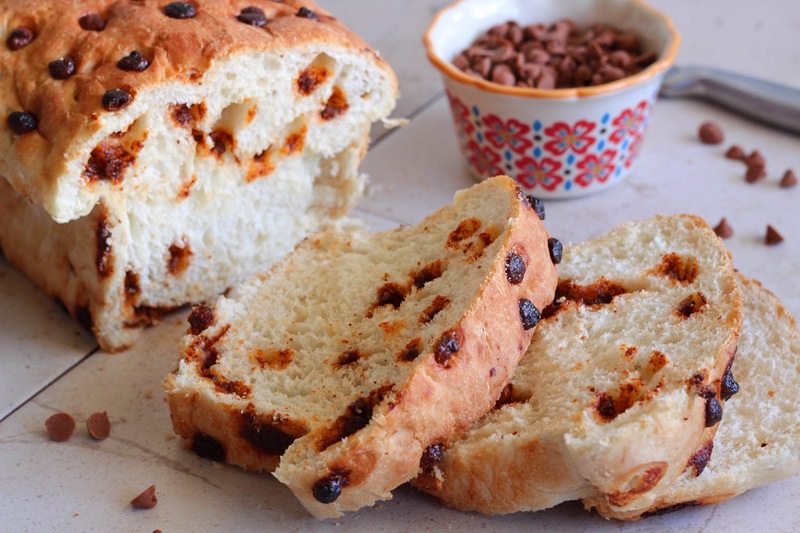 There is a local bakery that makes the best cinnamon chip bread and I even have an amazing copycat recipe for it on my blog. BUT . . . sometimes I would rather make a semi-homemade recipe that is really easy and still super yummy. This bread couldn't be easier and hello . . . it only has two-ingredients, a thawed loaf of bread and cinnamon chips are all you need. 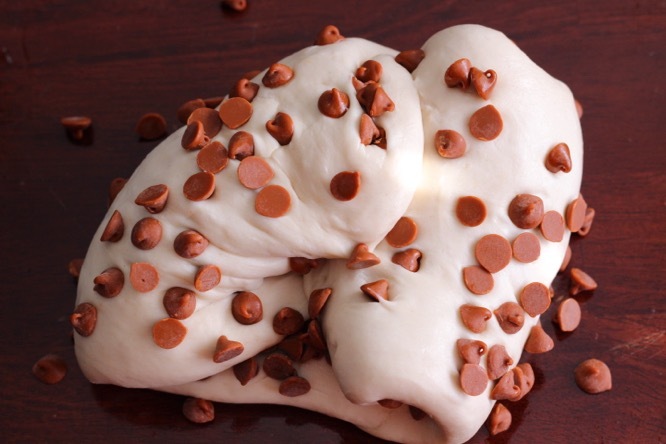 Cinnamon chips can be found down the baking aisle at the grocery store next to the regular chocolate chips. This bread is so soft and chewy. 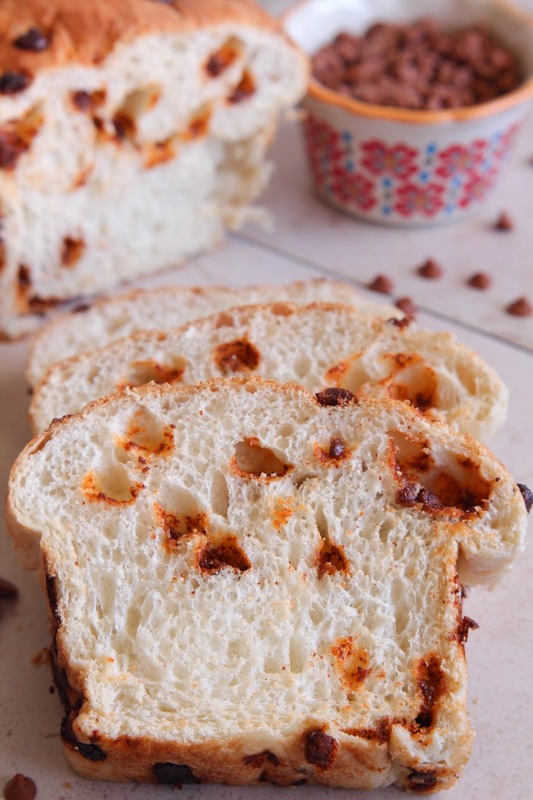 The cinnamon chips melt into the bread and there is just enough cinnamon flavor. Kids and adults love this bread. It has the flavor of cinnamon rolls, minus the icing. It might not be the prettiest thing, but it really is so so yummy. The cinnamon chips on top do get a little dark during baking and that's okay, they won't taste burnt. Try making french toast with the leftover bread - yum!! First things first, get the ingredients ready. I thaw the loaf of bread in the refrigerator overnight, so I can make the bread first thing in the morning. Pat the thawed loaf into a rectangle and press half of the cinnamon chips into the top. Flip over and press the remaining cinnamon chips into the other side. The chips won't want to stick very well, that is why you really have to press them in. 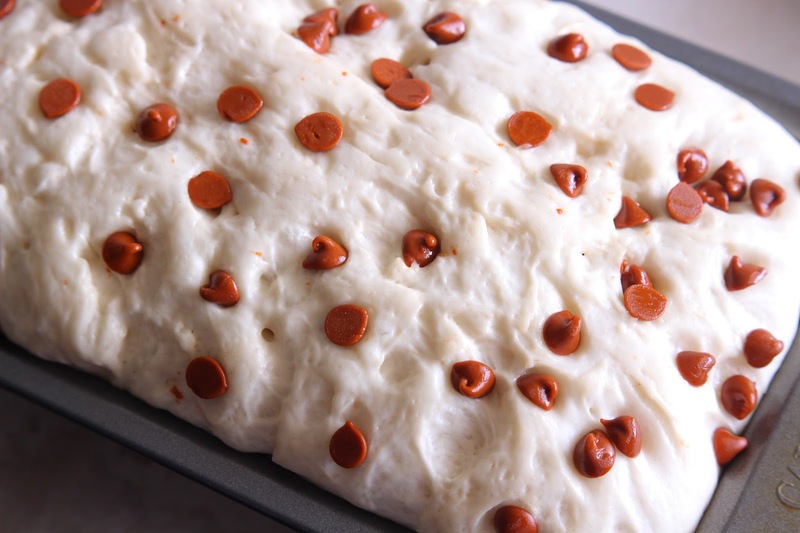 Knead a few times to incorporate the cinnamon chips into the bread. I like to press some of the chips into the loaf and leave some on the top and bottom. 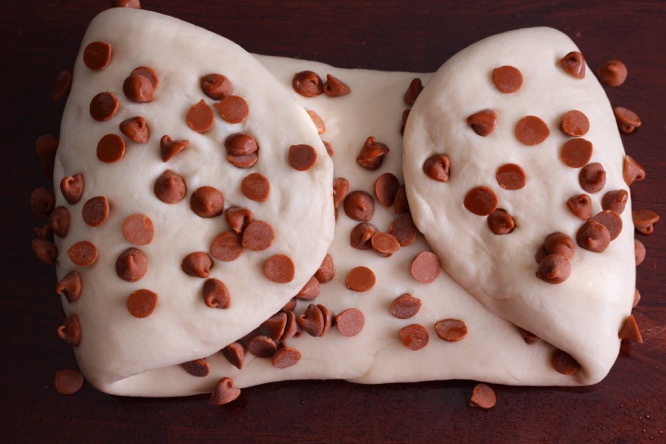 Form into a loaf and place into a greased 9x5-inch loaf pan. You will have to stretch it a bit to fit the bottom of the pan. Spray plastic wrap with cooking spray and loosely cover the pan. Allow to rise until puffed up slightly above the top of the pan. Bake, cool slightly, slice and enjoy! 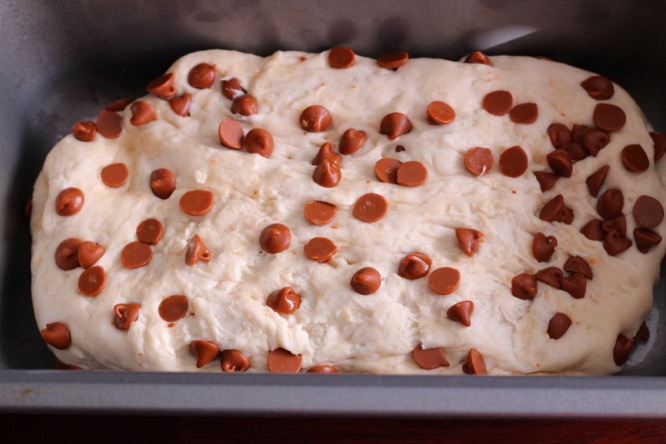 I'm sharing this simple and delicious recipe on Rhodes Kids Baking Blog today. Click HERE to get the RECIPE.